Finding a needle in a haystack is an easy job compared to listening to 1.4 billion people on Facebook or analyzing 500 million tweets every day. 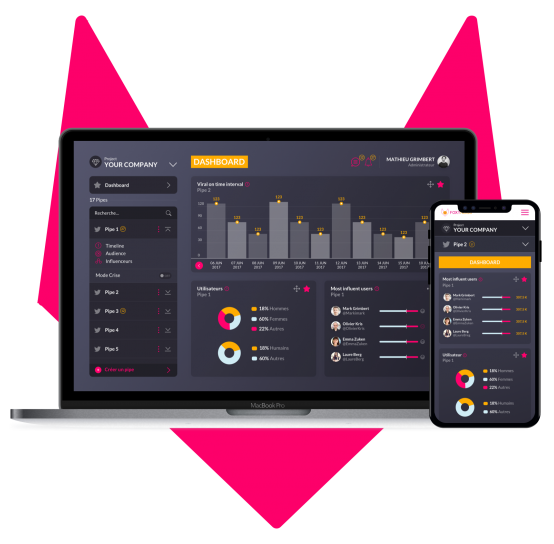 With Foxy Nerds, you can easily listen and analyze what people are saying about you on digital channels, whatever time of the day or night. Who was the last person who spoke about you on digital channels? There is no trick - our mathematical models, developed by a bunch of nerds, have allowed you to detect a buzz since the start. And this is what is giving you all the time you need to remain in control of your communications. Don't wait for your taxi driver to tell you what the trending topics are. It's too late. Get to understand your audience and its expectations better through our feelings analysis system. Hold all the cards so that you can better meet their expectations. Want to discover more about Predictive Marketing ?